Is your job stressing you out? 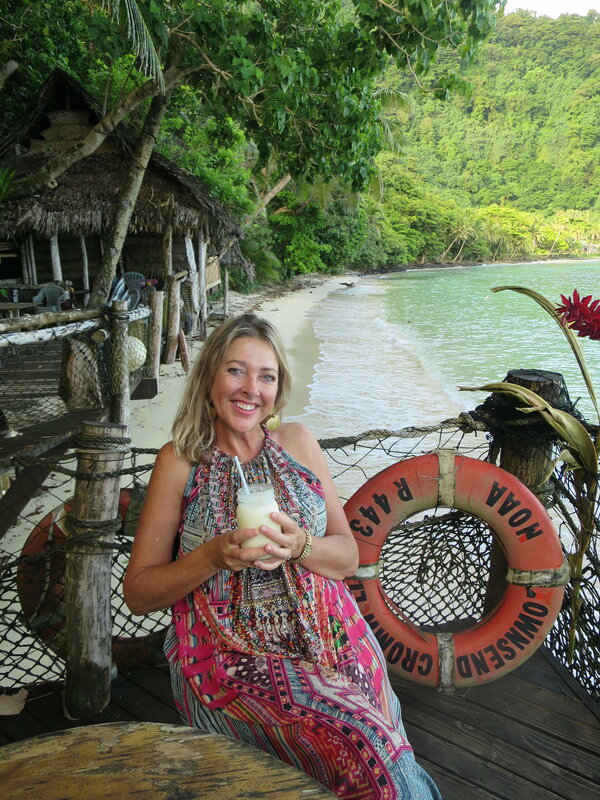 Do you dream of running your own holistic, location independent business? As you know, I’m passionate about helping people change careers and create businesses they love and still pay the bills! If you share my passion for helping others and are seeking work that is fulfilling, financially rewarding and flexible becoming a career and life coach may be just what you have been looking for! Work with passion and purpose! Become an accredited life coach. As well as being an award-winning artist and bestselling authors I’m also the director of Worklife Solutions—we train passionate, purposeful people to become career and life coaches and I mentor counselors and life coaches to level up their business. I have always been passionate about empowering and motivating others and when I learned about life coaching as a career I knew it was something I was being drawn to pursue. As you can imagine, a google search for life coaching courses brought up hundreds of providers all with their own content of what they believed life coaching to be. I was lucky enough to come across Worklife Solutions and their Certified Life Coaching Course. I sent through an email requesting information as I had through other providers, but was pleasantly surprised when I received a response from Cassandra and not someone employed to help with enrolments/course advice, I found her to be very warm and helpful in answering all my questions. 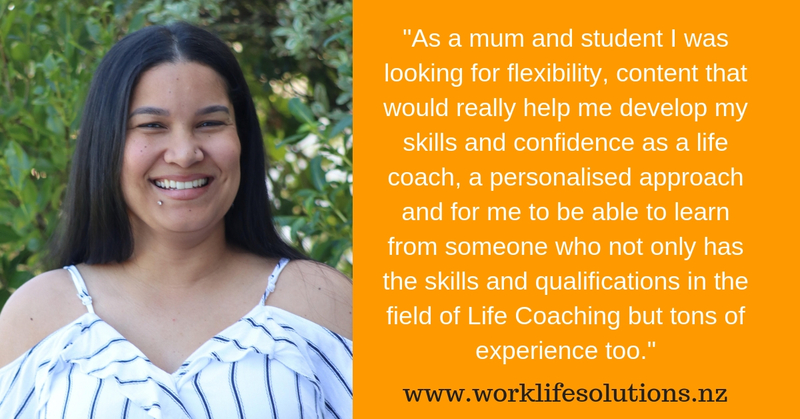 As a mum and student I was looking for flexibility, content that would really help me develop my skills and confidence as a life coach, a personalised approach and for me to be able to learn from someone who not only has the skills and qualifications in the field of Life Coaching but tons of experience too. The one on one mentoring was what really sold me as I will not have to contend with a large group of other students. And will be able to use that time to perfect the skills I learn in a way that some online courses could never assist. I am confident that with this course alongside Cassandra’s mentoring that I am on my way to my dream career as a life coach. I was in my mid-30’s, a single parent, holding down a steady job when I started my first business, Worklife Solutions (worklifesolutions.co.nz). I was worried and fearful that I’d fail, but I did it anyway. It’s one of the most creative, joyful endeavors I’ve ever done. Since then I’ve created many more businesses and helped people all over the globe become successfully self-employed. It’s hard to believe that I was ever an employee, feeling trapped and miserable in a job that gave me zero flexibility, capped my income and shackled my independence. I know what it’s like to reach the middle of your life and yearn for something better, but wonder if you have what it takes to make it on your own. I was a single parent, with no one else to pay my mortgage. I wanted more time and freedom to balance child-care with my own desire to have control over my own destiny. And I wanted my income to be determined by my own efforts, not by the mood or whims or dictates of a boss. I wanted to be in control, riding the winds of fortune and navigating the fluctuating economic landscape. More than that I wanted to rekindle my passion and creativity in both the workplace and home. And I wanted to make a living doing the work I felt born to do. I was uncertain about how I could employ myself and create a coaching business I’d love with such a passion, that one day I would say, “This isn’t work; this is fun.” But it did happen, and it can happen for you too. I’m not a risk-taker. Not a reckless, foolishly optimistic one anyway. I was afraid like you might be. I doubted anyone would hire me, or that I could convince others to buy my products and services. I worried that if I severed the safety chord of a regular wage I may not be able to pay my mortgage. I’d lost my confidence, and worse, I’d lost my self-esteem, trading in my health and happiness for the ‘security’ of a regular pay cheque. I had a mortgage to feed, and a daughter to support on my own, and so I boxed on. But I never gave up on my dream. I started feeding my soul by reading books by, and about, inspired entrepreneurs. I subscribed to entrepreneurial magazines and devoured articles. (Back then podcasts and YouTube weren’t alive and streaming.) I drew up a list of benefits I felt I’d gain from being self-employed, and trained myself to focus my mind and heart on what I hoped for, not what I feared. I calculated my hourly rate as an employee and quickly realized I could work less hours and earn more if I employed myself. The final push I needed to take the leap came when my friends, who were turning fifty, encouraged me to join them on a girls trip to Italy. My boss turned down my application to go on leave. “You’re needed here,” she scolded. “I quit,” I replied. And I haven’t looked back. If you feel like I once did, wondering if being your own boss will ever happen for you, help is at hand. 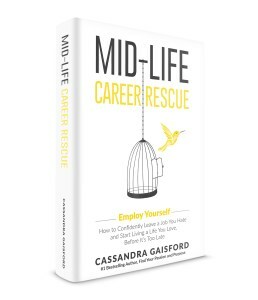 If you fear that if you leave a job you hate, you won’t be able to pay the bills, my latest book, Mid-life Career Rescue: Employ Yourself will help you start smart. If you dream of being happy and working with passion and joy, I encourage you to consider taking a calculated and inspired leap into self-employed bliss. While some employers may consider your age or wealth of experience to be a liability, that same experience is an asset when you are running your own show. Prospective clients and customers care more about the value you can provide than they do about your age. And running your own business can also offer you the freedom, flexibility, purpose, and autonomy you crave. Plus, if you structure things right from the outset you’ll end up with more money in your wallet. In Mid-life Career Rescue: Employ Yourself you’ll be inspired by Leigh Johnson. After establishing a successful recruitment business, and following a period of depression Leigh yearned to help others. I share her story of reinvention in the book. She also contacted me to help her define her brand and gain the skills she needed as a wellness coach.“I want people to know how great they are already,” she says of her new mission. 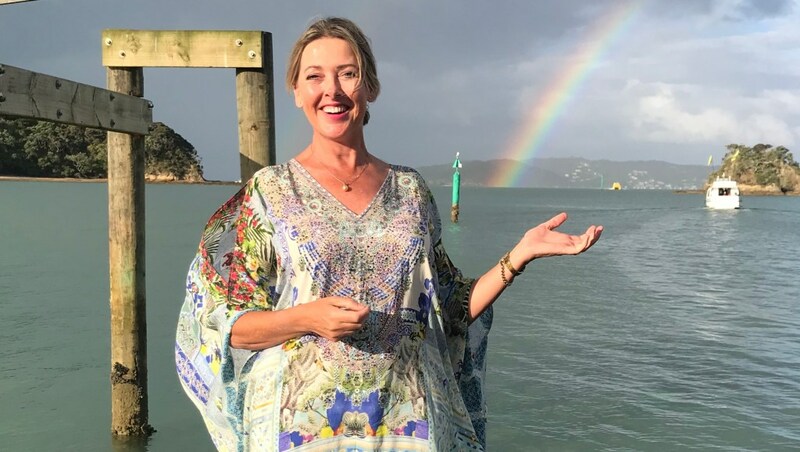 “I give credit to Cassandra Gaisford (www.worklifesolutions.co.nz) for helping me unclutter my thoughts and clear the way to make the decision to become a Well-being & Transition Coach,” she shares on her blog. Read the other stories of entrepreneurial rejuvenation I share in my book, Mid-Life Career Rescue: Employ Yourself (http://Amazon.com http://amzn.to/1SwgzAV) and learn from people who have felt the fear and become self-employed anyway! Let love, inspiration, and passion propel you forward. Employ yourself! Live the entrepreneurial life and create a product and service so good that people will pay for it. Or perhaps, you’d like to do what I did, trained to become a coach and started coaching on the side until my income grew and I could make coaching my full-time gig. Contact me for a free 30-minute discovery call to see if training to become a certified life coach is the right move for you. If you’re not working with your authentic, compelling joy— you are not living your true purpose…and life is too short for that! When you’re a mature worker and you find yourself in a position where you have to look for work, age bias can be a factor, but it doesn’t have to be a barrier. Although some employers might look for young, less mature hires, older workers have lots to offer, as many smart organizations realize. Successfully finding a job takes skill and confidence, but once you know the rules, you’ll feel more confident, more successful and a whole lot happier. 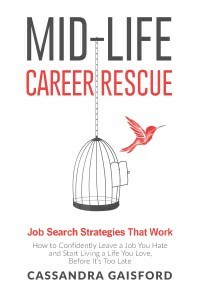 In my new book, Mid-Life Career Rescue: Job Search Strategies That Work—book.at/JobSearchStrategies— I’ll share the secrets that recruitment agencies will never tell you. I should know—I was once a recruitment consultant myself. Quit feeling trapped. Reclaim your power! Find a job you love and finally live the life you want. The strategies in this book will also help job-hunters in their 20s, 30s or 40s successfully change careers. 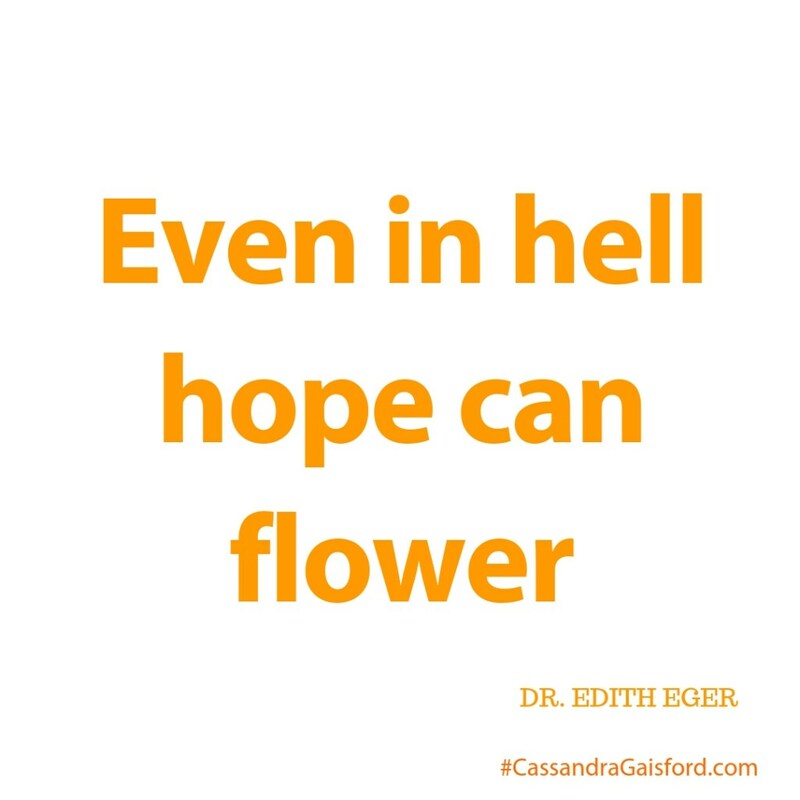 The tips I share are the exact ones I used to move from despair to joy. When I first decided on a career as a recruitment consultant I thought it would be a great opportunity to help people find jobs they enjoyed and to use my coaching skills. I didn’t realize that the major part of the job was sales and business development. The seeds of dissatisfaction festered as I realized that I was not using the skills that I enjoyed. In addition, the things that were really important to me, such as the value I placed on helping people, were compromised. It was a sales culture where the commission earned by putting people into jobs or a workplace, that I knew wasn’t a good fit, was more important than helping people find the right job. For a long time, I tried to ignore my unhappiness. Finding another job seemed like too much work and secretly I couldn’t help but wonder if maybe I expected too much from my job. Shouldn’t I be grateful to have an income? My self-esteem plummeted and I felt too frightened to look for another job—what if nobody else wanted me? Before long my growing ‘dis-ease’ with my job bubbled out into painful blisters. I was quickly diagnosed with shingles. Until I’d experienced what it was like not to do what I enjoyed I didn’t realize how important these things were to me. I started to look for ways to do more of what I wanted and less of what I didn’t. When the opportunity came to move into the career management team I leaped at the chance. I enjoyed it but I still didn’t get to do what I really wanted—hands-on coaching. 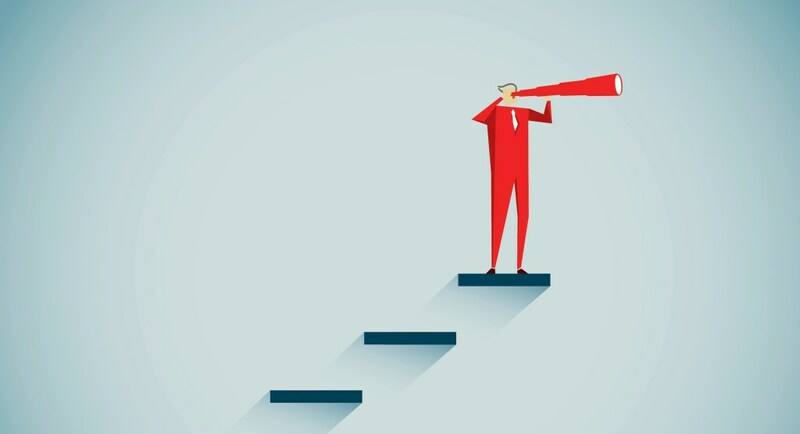 Several years later, with my eye to the future, I left the company altogether and aligned myself with a role much more in tune with my soul and my longer-term goals. 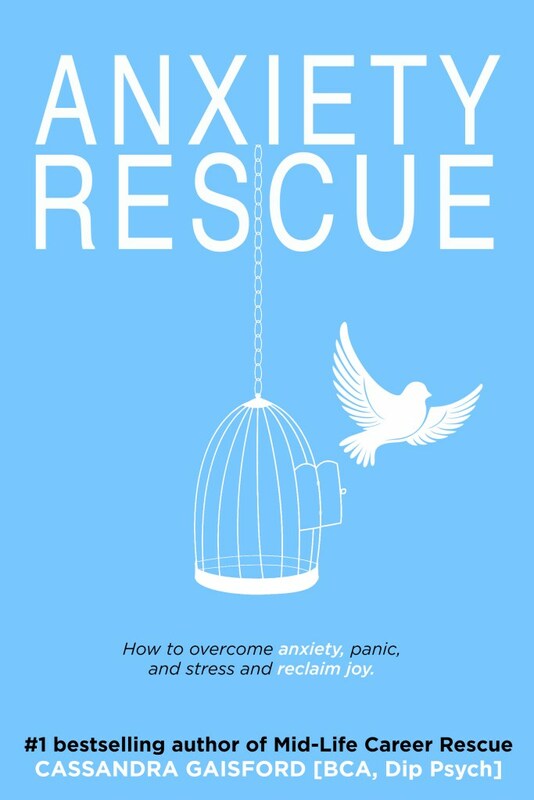 As I share in Mid-Life Career Rescue: Job Search Strategies That Work The way I found that job was by clarifying what really made me happy and what I wanted in a job, and then, armed with this knowledge (but still a lot of fear and low self-belief )by feeing the fear and tapping into the hidden job market anyway! Then later still I left the security of that salaried job and embraced the freedom of self-employment and owning my own business. I was a single mum—the sole breadwinner—with a mortgage. There was no safety net other than the preparation I’d done and the belief and knowledge that I had salable skills which were in demand. I’ve never looked back. Some of the things I said hello to when I made a move were increased freedom, autonomy and earnings. I said goodbye to being controlled, and having a cap on my salary. While there were trade-offs, such as no longer having paid annual leave and statutory holidays, the benefits, including the ability to work from home and the flexibility to care for my daughter—especially during her school holidays—more than compensated for any losses. Say hello to your preferred future and goodbye to the past by creating your own hello-goodbye list in your passion journal. Remember to include the benefits you’ll gain by releasing what no longer serves you. Add to this list as you gain more insights from the exercises you’ll discover in Mid-Life Career Rescue: Job Search Strategies That Work. The strategies in this book will also help job-hunters in their 20s, 30s or 40s successfully change careers. What do Albert Einstein, Bill Gates, Oprah Winfrey and Richard Branson have in common? The answer is, they trust their intuition. Each one of these people credit this wise “inner guide”, in part, to their personal and professional success, as is the case with so many other successful people. While Webster’s defines intuition as “quick and ready insight,” you may know it as: a gut feeling, a natural mental skill, a sixth sense, an inner knowing, a feeling, an instinct, a hunch, a premonition, wisdom from a Higher power, a still, quiet inner voice, an inner compass that points you to success and abundance; a gift from Spirit. But however people define it, we all intuitively know just what it is. “Intuition is a resource that, if nurtured, can lead to increased sales, profitable investments, creative inventions, successful hires, advantageous negotiations, bigger profits, and increased accuracy in forecasting business trends,” writes Lynn Robinson in her book, Trust Your Gut. You are born with this inner knowing and when you listen to it and act on its wisdom you are guided unfailingly towards your hopes and dreams. Whether you act on your intuition is another thing. Why don’t some people listen to their intuition in business? In a world that seems to value logic and facts over emotions and feelings, to follow one’s heart, or listen to your intuition, can seem foolhardy to many people. Perhaps this is because intuition, like spirituality, can’t be seen or scientifically measured. Many people may tell you that you need to think rationally and use your head, not your heart, in order to gather the “facts” and “evidence” you need to make “sound” decisions. But the truth is that your mind can’t always be relied on, especially when you are about to make big changes in your life. The rational mind likes to play it safe. It can “fool” you into doubting your abilities or make you catastrophize about how things will turn out. Things can get out of control and the smallest concern becomes a mountain of anxiety. “If I start my own business I won’t make any money, I’ll lose my house, I’ll be out on the street, the kids will starve,” and other similar negative thoughts. Thus the unhelpful, self-sabotaging script may come into play. This is where intuition can help. Your ‘in-tuition’, is your inner teacher, your wisest counsel, your most supportive ally. Some of us have the ability to tap into intuitive guidance more easily than others. But, like any skill, the more you practice using it, the better you will get. Listed below are just a few reasons why intuitive intelligence is a skill you should master. Confidence when you have nothing to go on, and no concrete experience or information on which to base your decision. Clarity in the face of a tsunami of choices and possibilities. A faster ability to make the right choice, rather than becoming bogged down in months or years of analysis. Awareness of self-employment opportunities you may not have considered. “The infinite intelligence within your subconscious mind can reveal to you everything you need to know at every moment in time and point in space, provided you are open-minded and receptive”, writes Joseph Murphy in The Power of Your Subconscious Mind. Sounds great! How do you gain this knowledge? By tapping into the power of emotions and listening to your own infinite intelligence. This is where the subconscious mind rules—it’s the storehouse of emotions, unlike the ego and conscious mind that rationalizes everything it can. The rational mind has its place, of course. The trouble is, all too often it dominates, very often talking us out of or into things that rob of us of joy and fulfillment. Is intuition better than concrete, measurable facts? That depends! Some decisions require logic and analysis. The rational information necessary to easily make the right decision may be readily available or easy to source. But there are times, especially when launching a business when you have nothing, or very little, verifiable information. That’s when knowing how to access, listen and act on your intuition can be most helpful. When I launched my first product, a set of 40 inspirational cards which I named The Passion Pack, in 2011, my business partners asked me, “Do you think it will sell?” I had acted on an inspired idea without any market research. I honestly didn’t ‘know’, but in my heart, I felt The Passion Pack would inspire others too. “Yes!” I answered, more confidently than I truly felt. And my intuitive hunch proved right. When speaking at a conference of teachers and educators about the power of passion, I briefly mentioned my idea, and we were swamped with advance orders before we’d even finished producing The Passion Pack. I’d never even thought about marketing it to schools. President and Editor-in-Chief of The Huffington Post Arianna Huffington writes in her bestselling book, Thrive: “Even when we’re not at a fork in the road, wondering what to do and trying to hear that inner voice, our intuition is always there, always reading the situation, always trying to steer us the right way. These signs are all clues to your passion. Passionate feelings are the ways your intuition guides your decisions about what is right, given who you are and who you want to be. What signs does your body give you when you are being true to yourself? What warning signs does your body give you when you are off track? Quietening your overactive mind through mindfulness training techniques like meditation is a wonderful way to boost your intuition. Meditation helps you to take control of your mental chatterbox and create some quiet space, so you can hear the voice within. This changes how you respond to what’s happening in your life, and increases your ability to tap into a higher level of wisdom when making decisions. Science has proven that when people meditate they alter their brains in a good way—lowering stress levels amongst many other important things. Ridding yourself of self-limiting thoughts, controlling your reactions, discovering an inner contact with a creative source, and having more creative insights are just a few of the other benefits that can flow. The whole experience is primarily one of wholeness, rightness, and power. Steve Jobs, a lifelong practitioner of meditation, confirmed the connection between meditation, creativity and business success: “If you just sit and observe, you will see how restless your mind is. If you try to calm it, it only makes it worse, but over time it does calm, and when it does, there’s room to hear more subtle things—that’s when your intuition starts to blossom and you start to see things more clearly and be in the present more. There are many forms of meditation, including breathing meditations, walking meditations, Buddhist Meditations, Transcendental Meditation and more. Whichever form you choose, the main thing to remember is that its benefits are only a few breaths away and the only thing you need is your attention. Meditation can be done in short bursts of time, even while on the bus or train. To really be of benefit many people recommend meditating first thing in the morning, and towards the end of the day, for 20 minutes each time. You may already feel pressed for time but the benefits of creating some space in your diary will pay dividends. I’ve been meditating for over 25 years now and love it. And while it can be challenging to find time during busy or stressful periods, it really is the key to boosting creativity, harnessing intuition, building resilience, and creating a calm and happier outlook in general. These are all important factors in maintaining the energy and focus to create and sustain business success. Don’t try and force a reply. Your intuition will reveal the answer in a variety of ways. There’s no one right way to receive its wisdom. It may come in the form of a hunch, a gut feeling, an inner voice, an image, or in a dream. Pay extra attention over the next three weeks to special “go-incidences” or insights. For example, as I edit this book, I am also releasing another book to help people who are suffering from alcohol addiction. The title of the book is Your Beautiful Mind: Control Alcohol and Love Life More, and one of the chapters is called, Hooked on a Feeling. I walked into a local cafe and the song, Hooked on a Feeling by the band Blue Swede was playing on the sound system. What are the odds! Create some space. If you’re constantly stressed and always wishing for more time, money, freedom, or energy, you need to create some time for “sacred idleness.” All those signs of stress are signals from your intuition that it’s time to slow down. Take a comfort break. Give yourself the rejuvenating gift of some time off to reflect on your life. What do you truly want? What fills your soul? What can you let go of? What are the blessings in your life? These are all questions to ask your intuitive guidance system. Listen to the answers, reflect, and act. Listen to inner wisdom now, pay attention to intuitions, feelings, and hunches. They’re not random responses generated by the brain and nervous system to keep them busy, but data from the unified field that surrounds you. Hot Tip! Taking the time to meditate, write, and dream new dreams will pay off in a big way and is an important step in creating the abundant, peaceful and prosperous life you deserve. Action Questions: How Can You Meditate? What steps can you take to learn more about meditation? How can you create some space for “sacred idleness” in your life? What can you let go of? Another way to embrace your intuition is to call upon archetypal symbols. According to renowned psychologist Carl Jung, archetypes are inherited memories represented in the mind as universal symbols and can be observed in your dreams. Jean Wiley, a self-employed Professional Intuitive Astrologer agrees. “10 years ago when I was really struggling with how to find my voice, swimming in that river of conformity, and hiding so much of myself for so long, what I would do was dream of David Bowie. Action Question: Who Can You Call Upon? Who could you call upon to give you courage, direction, and strength? If you’re looking for additional instructions on how to connect with your archetypal symbol I recommend the advice of Deepak Chopra, and especially his incredible book The Spontaneous Fulfilment of Desire: Harnessing the Infinite Power of Coincidence. The reality is that many people spend their lives ignoring their real calling, their passion, and their true path with heart. Decisions based purely on the analysis of the cold, hard, objective facts ignore what it is to be human, to be fully alive. If you want to wake every morning looking forward to your life, then getting in touch with your emotions is a vital part of any decision-making and planning process. “Your sixth sense is your authentic self,” says intuitive author and business psychic Sonia Choquette. And this authenticity is the thing you want in business. It’s what attracts others to you, and it’s what sets you apart in the crowd. There’s no one else like you in the world. When you trust your intuition, you trust your SELF. Intuition is the language of the soul speaking through the heart. Your intuition may not make logical sense, but it makes heartfelt sense and speaks to your need to be whole and have integrity. Intuition rather than logic offers a way to break out of old struggles, mindsets and limitations, and reach the clouds. There’s a lovely scene in a movie called Man On A Wire about a high-wire walker Philippe Petit, who, while reading the newspaper in France, experienced a lightning flash of insight. Staring down at an article about the proposed building of the World Trade Centre he knew what he wanted to do and become—the first, and the only man, to walk across New York’s World Trade Centre, supported by nothing but a wire stretching across the twin towers. 1,368 feet above Manhattan! At the time, the buildings, later destroyed in the 2011 attacks, were still only in the concept and design phase. But Philippe ripped out the newspaper cuttings and set about planning how he would make his dream come true. Inspirational people are like vitamins for our souls. Philippe’s pursuit of passion is inspiring on so many levels. Not only did he succeed, but he also excited so many others. Barry Greenhouse, for example, an insurance executive at the time, served as the inside man, spicing up his life in the process. His intuitive daring and courage also captured moviemakers, who later brought this amazing feat to international screens. The film of Philippe’s quest was awarded the Grand Jury Prize at the 2008 Sundance Festival. In February 2009, the film won the BAFTA for Outstanding British Film, the Independent Spirit Awards, and the Academy Award for Best Documentary Feature. Philippe Petit’s, and the movie’s success is further testament to the power of passion and listening to your intuition. You may not have such ‘lofty’ or death-defying aspirations, but if you listen to your intuition you will summon the courage, drive, passion, and fortitude to pursue your own path with heart. Perhaps you too will inspire people and meet with the success others only dream of. What can Philippe teach you? “My fledgling intuitive consulting business began 20 years ago as the result of intuition. I walked into a funeral service for a friend who had just passed away. I heard an inner voice saying, “Sit there.” My attention was drawn to an empty seat next to one of the few people in the room I didn’t know. Always a believer in trusting these auditory messages, I sat next to her. The short version of the story is that my seat-mate turned out to be a reporter for The Boston Globe newspaper. She wrote a story about my unusual consulting business. As a result, over 300 people called me to request my services and my new career was born. When I met the Boston Globe reporter, I was still working as an operations manager for a software company. Gaining over 300 clients virtually overnight might be some people’s idea of a dream come true. To me, it was anxiety producing. I was fearful of giving up my “normal” job, with benefits and a weekly paycheck, to be out on my own as a consultant. “Could I keep both jobs?” was the question I asked myself as I drifted off to sleep. Listening to your inner self is a very important part of re-creating and strengthening your authentic or true self. Knowing how to slow down and tap into your intuition or “inner knowing” will help you not only gain greater self-mastery and control, but also give you some essential tools to have on hand to help you ride the winds of change and to strengthen your sense of self. Strengthen your intuition by tuning into your body barometer, meditating, resting, spending time in nature, and asking your higher Self open generative questions. To succeed in business, you need to be visible and capture the mind and hearts of your customers. Marketing is one way of making sure people know who you are, what you do and how to find you. It’s not a dirty word. Done well, it’s an art. Are you ready to show your work? Start a business on the side while holding down your job. Or take the leap to self employed bliss. Choose and grow your own business with confidence. They were doing something they love; their passion drove them. Making money was not their sole motivation. Their businesses grew from a desire to serve others; they were not trying to force something on others or to make a killer sale. Instead, they wanted to make a positive difference and create something of value. They didn’t badger people into buying their goods or service. They cared about whether or not they could help a prospective client. If they could, great. If not, they were either quietly persistent until they were needed, or they moved on. They planned for success. Their business and marketing plans were living documents and they managed their finances extraordinarily well. They shared. They communicated their vision, goals and plans with those important to them, and they researched their clients and stakeholders constantly to learn how to do things better together. They listened. They listened to their staff, their families and their clients. Then, and only then, when they understood their issues, fears, needs and desires did they offer a solution. They started smart. When employing others, whether on contract or as salaried staff, they hired the right people for the right job. And, when necessary, they gave their people the training, systems, environment and recognition to do their job well. They took calculated risks. They always looked before they leapt, but they leapt nonetheless. Courage and confidence was something they built as they went. They believed in themselves, or faked it! Even professionals doubt themselves – but they don’t let self-doubt win. “You have to believe in yourself. Even when you don’t, you have to try,” encourages Serena Williams, tennis super-star and 21-time Grand Slam champion. If the strategies above sound like things you can do, or are willing to try, chances are self-employment is right for you. Be sure to get off to a good start, and be inspired by those who have walked the path of success. 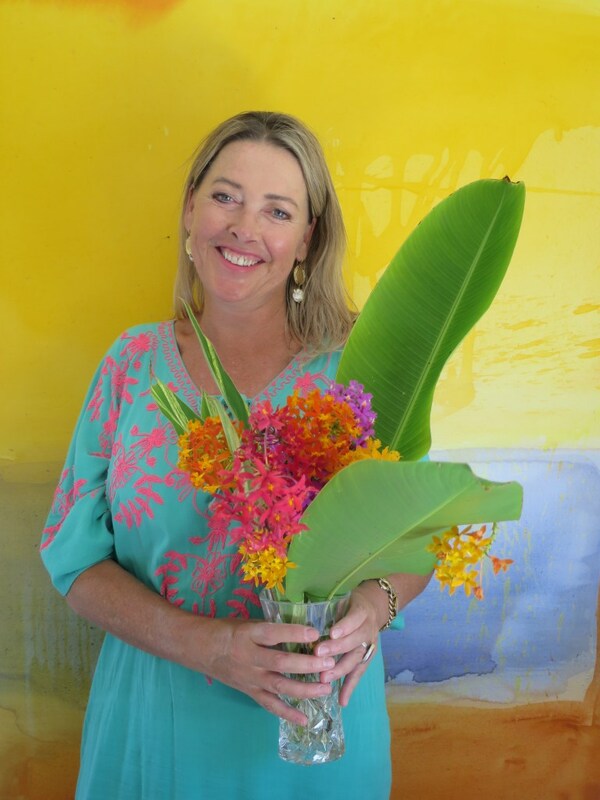 Lisa Conroy’s passion for helping others led her to start her coaching business. The seeds of change were also cultivated during a stressful time in her former job. Leading up to my coaching training I had been working for a major sporting organisation for eight years. They were going through massive change and unsettling times. I was up to my fourth restructuring with this company, and management informed us that they were moving the organisation to another city. It was an eight-hour drive away, and an expensive place to transport my family to live. It had been a toxic environment for some time, HR was non-existent, and I saw first hand during this time of transition amongst the team, the effects of stress and uncertainty. I knew going to the new venue was not in my family’s best interest, so I had to think about my options, which led to a call for change. The idea of coaching and helping others with their life and career goals appealed and seemed to be a growing industry. 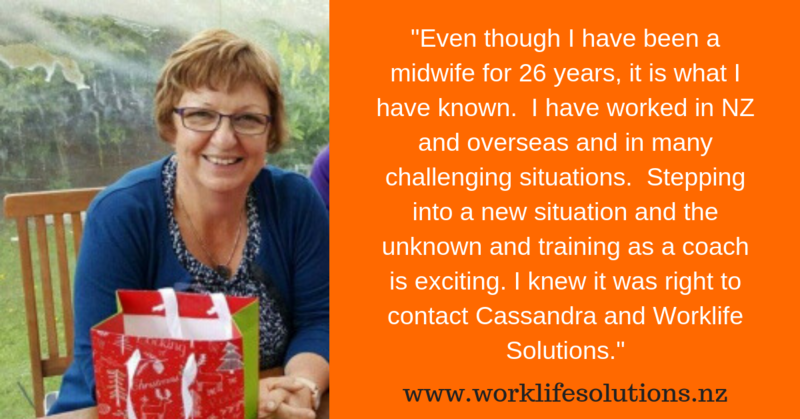 I did some investigating and found Cassandra Gaisford and her Worklife Solutions Career and Life Coaching certification programme. Her personality, variety of skills and zest for life just really resonated with me. I realised becoming a life coach would allow me the freedom, flexibility and independence to do work that I loved in an industry that seemed very rewarding and much needed. I knew it would be a steep learning curve, but I love a challenge and felt this was the perfect fit for my interests, skills and goals. I have always wanted to have my own business doing something I loved. Once I started my coaching training, I felt this was the perfect match for me to be able to utilise my skills and help others to reach their lifestyle, career and wellness goals. I also wanted the freedom to be able to work on new ideas and create my own style by offering a unique service in the Wellness industry through my combination of coaching, art therapy workshops, wellness retreats, Reiki healing and aromatherapy pamper parties. My initial focus was purely on the lifestyle, career and wellness coaching but realised it would take time to build my brand, Box of Chocolates, along with gaining trust with clients and networks. I went into this with a realistic view that it would take two-three years to build to a point of going full time with my business ideas. I also believed that if I had a few alternative strings to my bow, it would assist me in offering a variety of services to a wider audience and give me alternative sources of income. I was drawn to running wellness retreats where my event management skills, love of wellness and creative activities, and relevant workshop topics would help me attract the right women. 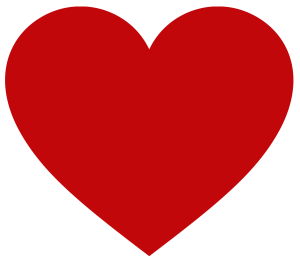 Women who wanted to feel empowered and find new inspiration for their lives, and be able to share and learn from others in a safe and nurturing environment. I was also interested in gaining a certification in Reiki healing as I felt this would complement my coaching and retreats/workshops, which then led onto me becoming an aromatherapy consultant too. This year I will be focusing on increasing my impact/marketing reach strategies by striving to increase my coaching capacity to offer Skype sessions/coaching packages globally online as well as within New Zealand. A belief in my abilities, along with a determination to be of service and offer a solution to key problems facing many women helped me find an idea I thought would be successful. When you can tap into understanding who your niche market is and what they need, you can then build a strong foundation of core services to assist them. I took a leap of faith but I knew in my heart that every time I coached someone it didn’t feel like work to me, it was so rewarding seeing my clients grow from strength to strength and be able to reach their true potential with a boost in confidence. When you are coming from the heart and follow that guidance, you will always be supported to find the people and resources you need. However, that doesn’t mean sitting back and waiting for it to happen. Action and dedication are required to build momentum, along with commitment and trust in your abilities to manifest your dreams and goals. I also knew that there were not many people holding retreats that offered a unique Zen and creative style that my programme offers – you have to think outside the box and run with it! I went along to lots of Wellness industry events, seminars, network meetings and got a feel for what people were needing and built my strategies around that. I did my research, I talked to successful coaches in the industry and I asked for feedback from all my clients, I went online to see what trends were coming through and what topics were hot, locally and internationally. I read lots of industry related books and blogs and signed up to sites that inspired me to keep my finger on the pulse on what was working successfully for others that I could leverage off. I’m not a big fan of the saying ‘hard work’ as it has stressful connotations. You need to be passionate about your services and ideas, and you need to have the ability to encourage others to use them. It is also important that you make time to promote yourself and get your messages across to your targeted market through various avenues. 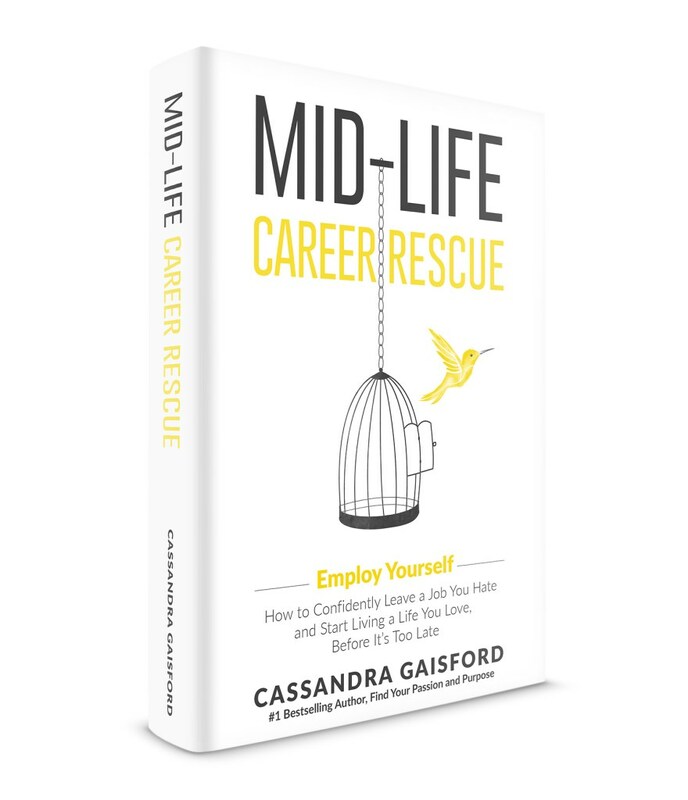 To read more of Lisa’s story, be inspired by other entrepreneurs, and gain practical strategies to help you plan your beautiful business, purchase your copy of Mid-life Career Rescue: Employ Yourself TODAY! Mid-life Career Rescue: Employ Yourself is available in paper back and e-Book version from Amazon. Career Rescue Free On Amazon Kindle Today! We’ve passed the mid-point of 2016 It’s time to think about what you want your work-life to look like next year. If you’re ready to make a change, but only wish you knew what it was, I have something that will help. If you’re feeling too overwhelmed and stressed out to even think about a move to a happier place, I’ve got a cure too. If you need a bit of inspiration, you can get it for FREE and start blazing your own trail to career nirvana. Or, if you need all the above and more…read on! Need a career rescue in 2017? Or know someone that does? Liberate yourself, your friends, your family, your colleagues from their cubicles, and tyrannical bosses – plan the first step to self-employed bliss, or boost your income and learn how to start a business on the side. Remember sharing really is caring. Share the news with family and friends who may benefit from a career rescue. They’ll thank you for it. Spread the word! Care and share! Creating a business and making decisions that are in line with your core beliefs and values is more likely to be a lasting and positive choice. It allows you to be who you really are, and do what you really need, in order to achieve what you want. And it will draw like-minded and loyal clients to you. Can inspire loyalty beyond reason. So where then to begin? Inside out. First determine your own personal values and build your business or self-employment opportunity from this core. This is the approach Leigh Johnson, then aged 46, took when she established her recruitment business. Having my own business was a childhood aspiration. I love being my own boss – the freedom, flexibility, taking responsibility, and creating something of value that helps others. Deciding what to do was easy. I was working as a recruitment consultant for a large international firm and found recruitment suited my skills and talents. I decided to go out on my own, and was able to turn that into a successful business and get others to share my goals and values. I was up and running with very little start-up capital, just some cash from my own resources. Innovating to meet their needs. I developed a brand strategy, created a simple business plan, leased premises and a CRM system, and bought 2nd hand furniture! I hired my first employee, kept focused on our specialisation, then got out there and told people about it. It’s important for me to be trying new things. I was driven to be successful and this, along with continually learning and sharing, kept my energy levels high. Doing the ‘same old’ and/or repetitive work de-energises me. Going into business or being self-employed creates a fantastic opportunity to learn new skills and also learn about yourself. I knew my enterprise could be successful. Initially I worked 60 hours per week. I used specialists for advice and outsourced the things I wasn’t good at. Spending time doing the stuff that creates revenue, and starting to build systems from day one helped maximise the likelihood of success. The advice I would give to someone who has never started a business is to surround yourself with people who have done it before, or are self-employed. Don’t be afraid to ask for advice. Get a mentor or coach! Millions of people around the world create small enterprises so that they can feed their families. Start small, part-time and try out some of your ideas. Business development (face-to-face meetings), networking, marketing and building brand awareness helped me grow my client base. Being socially responsible and creating our Skilled Migrant Programme, in partnership with Victoria University and the Rotary Club of Wellington, has also given the brand a very positive image. Getting professional advice, (business advisor), using specialists (i.e. finance) focusing on business development and building market awareness have been the secret to success, managing cash flow, and generating regular income. Hiring migrants who brought great skills, excellent motivation and surprised me with their ability to keep growing has been one of the best moves I’ve made. Knowing what I now know, I would always ensure I hired the best people. They don’t have to be the highest paid. Worst move? Taking too much responsibility on myself when things weren’t going well which led to burnout. While I had a lot of technical skills, I’ve had to learn to let go, and trust others. Mistakes happen and we learn from them together. To maintain balance and find time for my family I avoid being a perfectionist. I look for the 80/20. Sometimes good enough is just fine. And done is better than perfect. To succeed in business you must be prepared to take responsibility and make decisions, some of which won’t be right but that’s okay. Just keep making them. I also take time out every quarter. You must trust your people and disconnect so that they can make decisions while you are away. Lately, I’ve been using the word ‘enterprise’ instead of business or self-employment. Personally it has connotations involving action and innovation. Also it can be about being socially responsible while being economically sustainable. Establishing her company values and ensuring her behaviours reflected those values from the outset helped Leigh create a strong brand—one she is proud of. Her deep belief in equality and being socially responsible, and her passion for helping others is also reflected in her successful Skilled Migrant Programme, giving her brand a very positive image. It was an inspired move. My own experience working as a recruitment consultant confirmed that many employers discriminate against people from other cultures. I was once moved so much by their plight I wrote a magazine article entitled, What Colour Are Your Skills, to focus attention on the fact that it is what people can do, not their place of origin that defines a person’s ability to do a job well. Leigh now works less in the business and more on the business to maintain better balance. She is passionate about helping women who suffer as she has, from depression and anxiety, and shares her story of recovery on her personal blog: www.leighjohnsonnz.com/blogging. At the time of writing, Leigh has also made a decision to retrain as a Well-being and Transition Coach, and I am honoured to have been her business coach and mentor through this journey. She’s also excited about a new online project that is in the planning phase. Find out more about Leigh Johnson, and the wonderful work she does here: www.leighjohnsonnz.com and on her blog. Identify and record any lessons you can learn from Leigh’s experience that you could apply to starting, or redefining, your own business. Summarise some possible action steps. 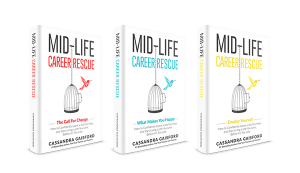 Be inspired by other entrepreneurs, and gain practical strategies to help you plan your beautiful business, purchase your copy of Mid-life Career Rescue: Employ Yourself TODAY! Whilst it’s commonly stated that we should do what comes naturally, this may not be the best advice! To fulfil your potential you have to step out of the comfort zone of doing what you do well and embrace the uncertain world of trying something new. In doing this you’ll have the satisfaction of knowing whether you swim on a new current of fulfilment and success – something others refer to as ‘flow”. Just as Jilly did, the wonderful lady in her 70’s who has become a photographer, and whose story I shared in Mid-Life Career Rescue: (What Make You Happy). Listening to Jilly’s stories of reinvention, it’s clear to me that variety, learning and new challenges are some of her most important values. “‘I’ve always followed my dream – I wasn’t a mid-lifer who found what I wanted to do. I always took chances and jumped in with both feet!” She said. 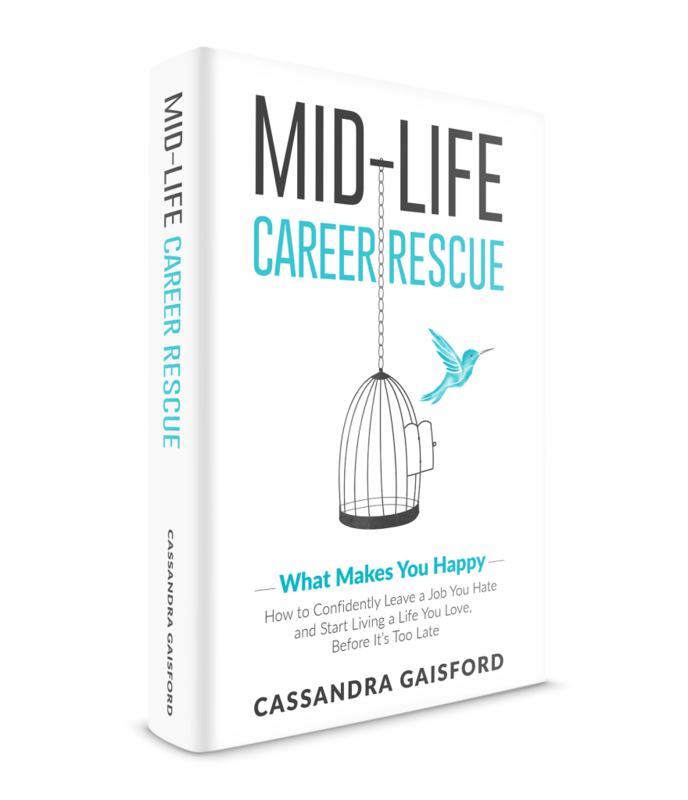 Read her inspiring story in Mid-Life Career Rescue: (What Make You Happy), or check out her website – her work is really, really special. Her natural affinity for dogs, and the skills she’s developed with the camera, creates something truly magical. She has now had several exhibitions with two more coming up next year. Also she has been invited to join Getty Images. But what if you don’t swim? What if you sink? At least you’ll have the satisfaction of knowing you tried, and the great fortune of implementing your lessons learned in your next attempt! Sticking with what you do well can be the worst thing to do if you want to live a meaningful life. To develop new skills, new ways of being to become someone other than who you believe yourself to be takes a willingness to change. What would you be willing to try if you were 10 times bolder? 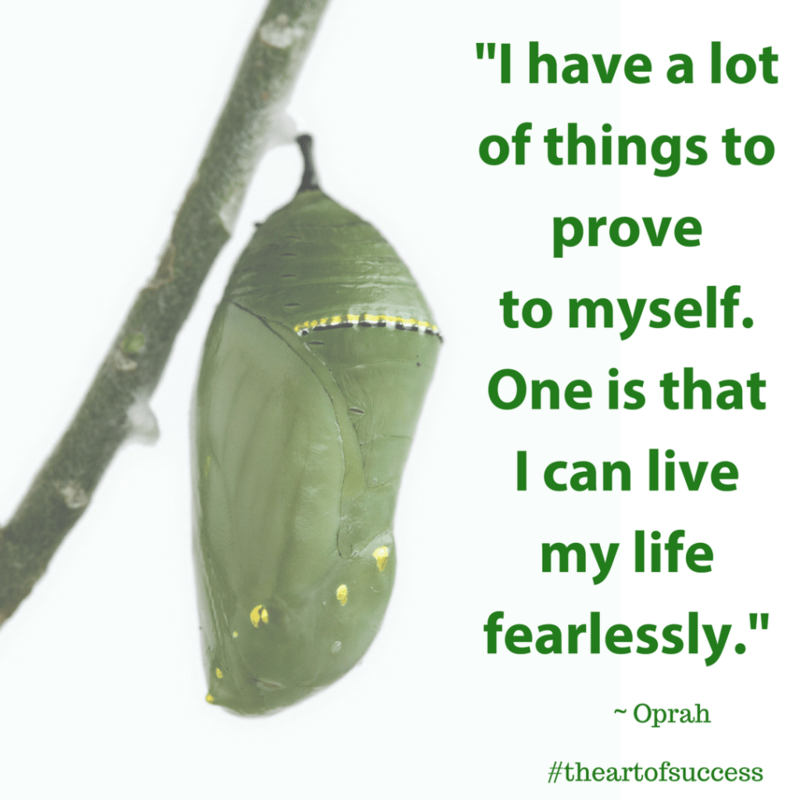 What wouyld you try if you knew success was guaranteed? How could trying out new ways of being or working enrich your life? I put into motion my own advice late last year and published my first two books in the Mid-Life Career Rescue series on Amazon. What fun! I don’t know why I didn’t do it sooner. Since embarking on change I’ve published a book a month and recently penned my third book: How To Find Your Passion And Purpose: Four Easy Steps to Discover A Job You Want and Live The Life You Love, is more of guide, than a book – a nice short, easy to implement tool kit to help you live and work with passion and purpose. A new thing I did for the first time was creating my own cover – using my own art work too. The feedback I’ve received about both the book and the cover has enriched my life in ways I couldn’t have perceived. I gain from the satisfaction and fulfilment of being fully autonomous in all aspects of publishing and gaining from the immediacy and intimacy of the feedback from readers. “Simply delightful, witty quick read, packed with excellent information. I’m actually believing now, I could change my career after 18 years!” Wrote one Amazon reviewer. “I feel I want to read this book now! The red energy swirl suggests an invitation to enter a journey of discovering ones passion,” shared another person when she first saw the cover. Ok, I thought. I won’t ramble in my next book – I’ll be more concise! My daughter quit her job with no job to go to yet – she’s never been happier. But only two days prior she was in tears. Months of bullying, manipulation by managers and being promised magic that never eventuated took its toll on her self-confidence and self-esteem. Sometimes all it takes is one line, one sentence, one book to radically change your life. As one man who purchased Mid-Life Career Rescue: What Makes You Happy write to me “I wish I had this book ten years ago! Making a career change was really challenging, and overwhelming. This book is quick and to the point, very well organized making it a great easy-to-use resource. The step-by-step tools are what set it apart, though. I’m recommending this to my cousin who has been wanting to make a change but doesn’t know how. I really hope this book pushes him into action to find a career that makes him happy! Great stuff.” ~ Jason Sperling. 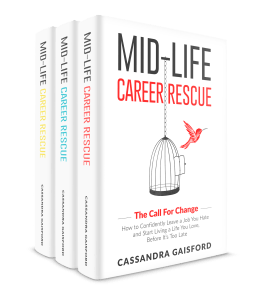 This is an edited extract from “Midlife Career Rescue: (What Makes You Happy): How to confidently leave a job you hate, and start living a life you love, before it’s too late” by Cassandra Gaisford. To purchase your copy and learn how to follow your passion to prosperity, click here to go to your online bookshop.